Asian Americans were among the winners at the 91st Academy Awards on Sunday at the Dolby Theatre in Hollywood. 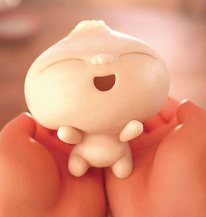 Animated Short — Domee Shi and Becky Neiman-Cobb for “Bao,” the story of a Chinese mother who adopts a dumpling that has come to life. Shi is the first woman to helm a Pixar short. She is now working on a feature-length film. Also nominated were “Animal Behaviour” (Alison Snowden, David Fine), “Late Afternoon” (Louise Bagnall), “One Small Step” (Andrew Chesworth, Bobby Pontillas), and “Weekends” (Trevor Jimenez). Documentary Feature — Jimmy Chin and Elizabeth Chai Vasarhelyi won for “Free Solo,” which is about professional rock climber Alex Honnold’s attempt to conquer the first free solo climb of El Capitan’s famed vertical rock face at Yosemite National Park. Bing Liu’s “Minding the Gap,” which is about three young men who bond together to escape volatile families in their hometown, was also nominated along with “Hale County This Morning, This Evening” (RaMell Ross), “Of Fathers and Sons” (Talal Derki), and “RBG” (Betsy West, Julie Cohen). China’s Alibaba Pictures was an investor in Best Picture winner “Green Book,” while another Chinese player, Perfect World Entertainment, helped finance “BlacKkKlansman,” which won for Adapted Screenplay, and “First Man,” which won for Visual Effects. Presenters included “Crazy Rich Asians” cast members Constance Wu, Michelle Yeoh and Awkafina. They were joined on the red carpet by castmates Gemma Chan and Henry Golding. Also spotted on the red carpet was Marie Kondo of Netflix’s “Tidying Up with Marie Kondo,” who was accompanied by her husband, Takumi Kawahara.